Two walkers had to spend the night on the hill after getting trapped by rising water in a Highland stream. Rescuers were unable to ford the stream and a helicopter had to turn back because of severe weather conditions. Members of Dundonnell Mountain Rescue Team were alerted about 8.40pm on Saturday when the pair called for help. 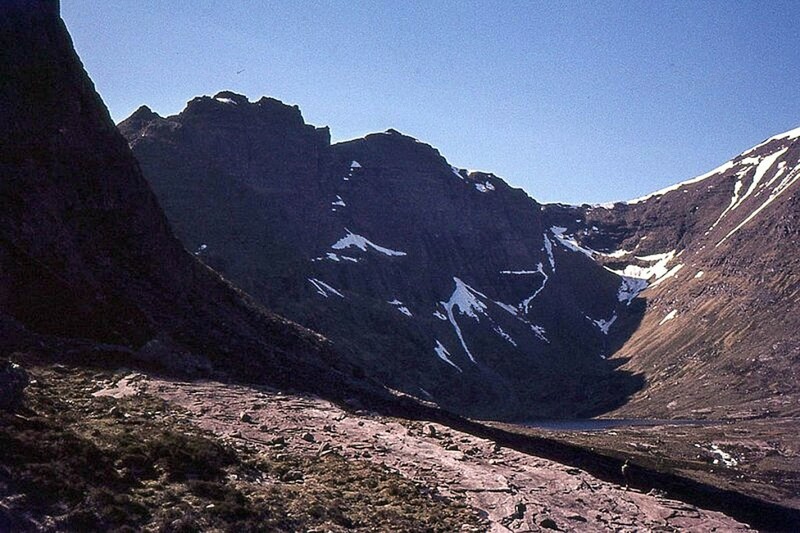 They were returning from a walk to Toll an Lochain on An Teallach, south-west of Dundonnell. A team spokesperson said: “With heavy rain falling throughout the day, the pair, on their return trip, became trapped by rising water level, preventing them from crossing a now heavily swollen stream. “The team were called upon to locate the couple and attempt a rescue. “Initially six team members set off from the roadside. River levels were extremely high. “The team managed to locate the missing pair but were unable to cross the stream and take them off the hill. Food, clothing, warm drinks and a shelter were thrown over to the pair, as it was likely they would have to spend the night on the hill. A second helicopter, the Inverness Coastguard aircraft, flew to the scene in the morning and was able to pick up the two walker about 9am and airlift them to the rescue team base. The spokesperson said the walkers, who live in the Highlands, were unhurt but very cold. Team leader Donald MacRae said: “This pair made the right decision to call for help. If they did not have their own shelter, I don't understand how they could be described as "well-equipped". This is mid-winter after all. The article does not say, "they did not have their own shelter". Colin, try making an inference from what the article “does” say! Indeed a shelter was thrown over to them...I do not suppose they went up there intending to camp. Pedantic scoff guys, sometimes you just get unlucky.